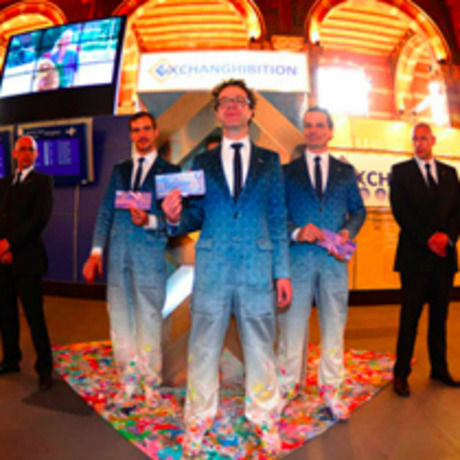 Two years ago, in a time when governments had no money for the Arts, but spend billions on banks, artist Dadara started his own bank - the Exchanghibition Bank. A traveling bank booth, which pops up at many places. Some of them cultural, such as the Rijks- and Stedelijk Museum, or Paradiso. Others public, such as Amsterdam Central Station, Occupy, or even shopping centers. Visitors can exchange their money for Exchanghibition Banknotes of Zero, Million, Infinite, and others.